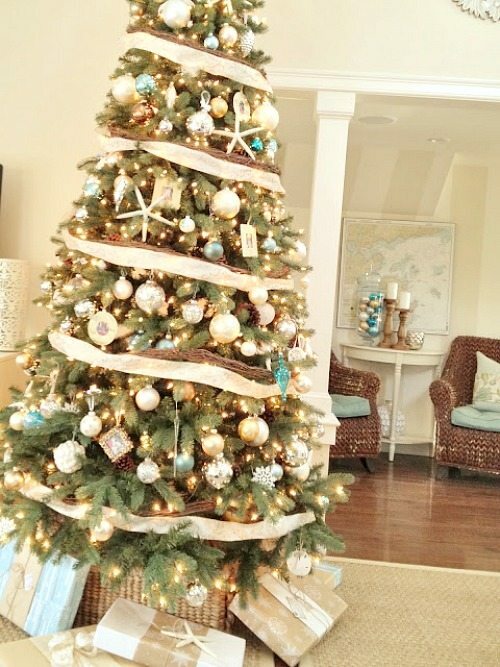 Step inside this New England cottage in Marblehead, MA, and enjoy the Christmas ambiance created with an elegant “sandy” tree, blue Christmas ball ornaments, and plenty of beach elements. 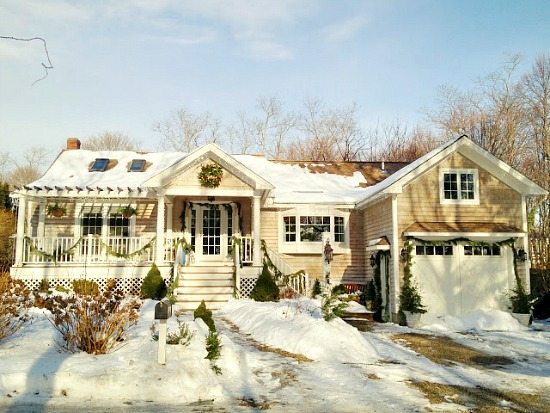 Kathleen and her family have lived in this charming New England Cottage, located in Marblehead, MA, for almost twenty years. It was a complete fixer upper when they bought it back in 1995. 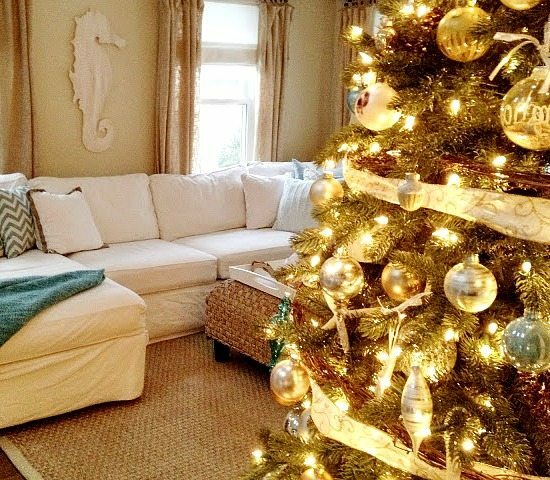 I love the white sofas against the hues of sand, on the living room walls with matching Drapes from Target, the natural woven rug and coffee table ottoman. The combination of sand colors and white never fails to create a soothing and spacious beach feeling. 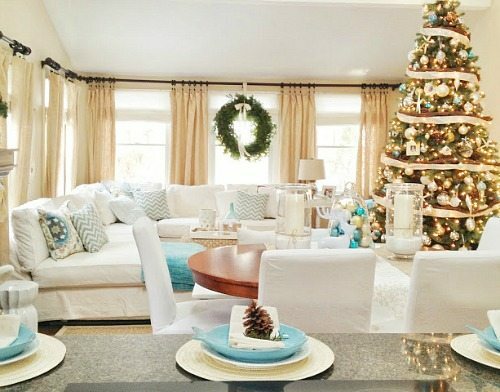 The Christmas tree is kept in the same tone with just a few pops of blue ornaments for color. And if you were wondering where the wooden seahorse is from, Kathleen made it herself with plywood and a jigsaw! 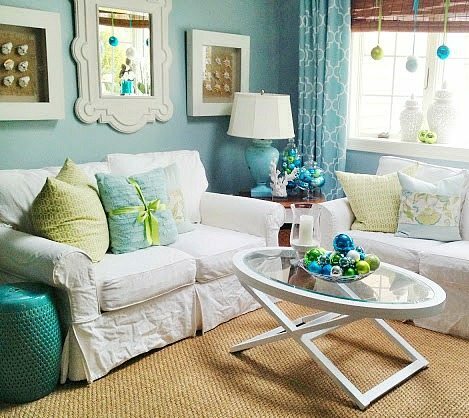 Then in the family room, the blue hues take over, making the space a vibrant sea inspired hangout with a more casual feel. 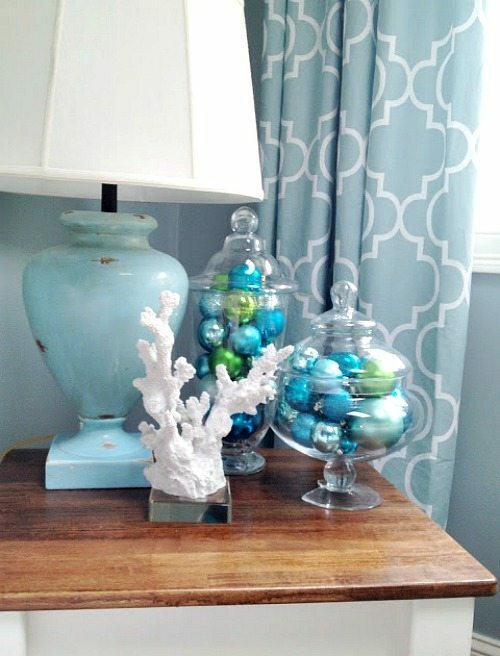 Blue Christmas Ball Ornaments are plentiful, displayed in Apothecary Jars, and hanging from the window. A few touches of green are added too which I like. 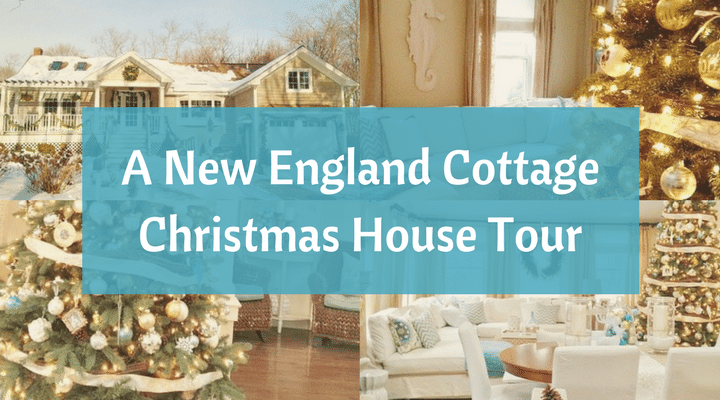 Take the full Christmas Tour of this New England Cottage over at Kathleen’s blog! You’ll get to see more exterior pictures too!